Although it is legal in New Jersey to dispose of the ionization detector in the trash, you are encouraged to return the detector back to the manufacturer. Detector companies must accept returned radioactive detectors for disposal. They are mandated by the Nuclear Regulatory law 10 CFR 32.27 to see that the radioactive waste is disposed properly at a nuclear waste disposal facility. When sending back a smoke detector, do not take it apart. The batteries should be removed and properly disposed of or recycled as appropriate. No special shipping is needed for the smoke detector, just wrap it in padding, place it in a box, and send it. Interactive Technologies 651- 777- 2690 Call for instructions. 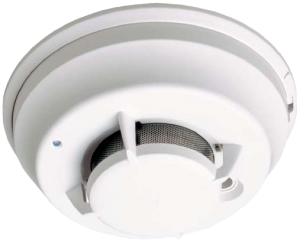 If unable to return smoke detector to manufacturer, remove battery from smoke detector and dispose of it in the garbage.